So you just bought a new Pressure Cooker or Instant Pot. Reading all these pressure cooker recipes, you are now confused. 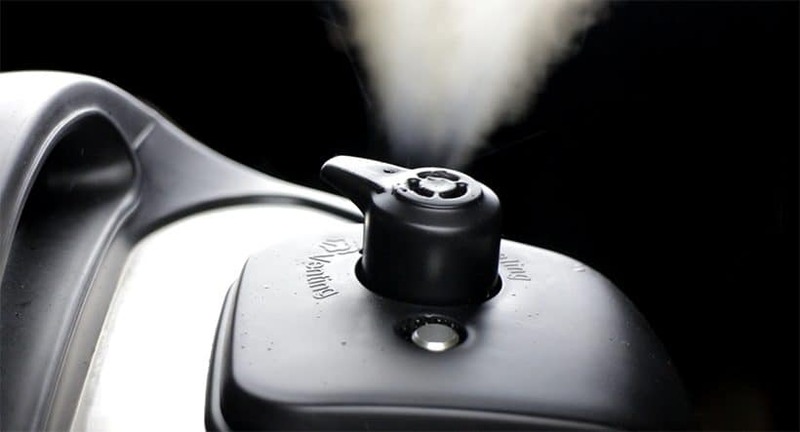 What is a Pressure Cooker Natural Pressure Release and Quick Pressure Release? NO ONE told us a Quick Release looks like a steam volcano!? What is a 12-minute Natural Release? Why not 11 minutes? How? When? What does it all mean?! Know when and how to pressure release: Quick Release or Natural Release? Quick Pressure Release (QPR or QR) & Natural Pressure Release (NPR or NR) are 2 methods to release pressure of your Pressure Cooker or Instant Pot. It is super easy to master these 2 pressure release methods. 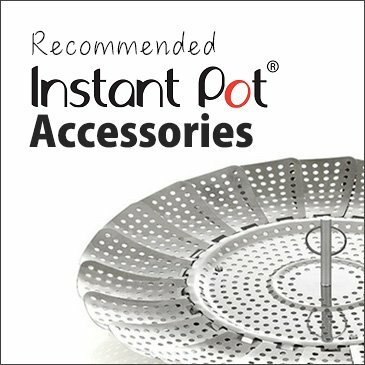 Look closely at your Instant Pot Pressure Cooker’s lid. There’s a Floating Valve (metal pin) and a Venting Knob. Noticed the Sealing Position and Venting Position on the lid? 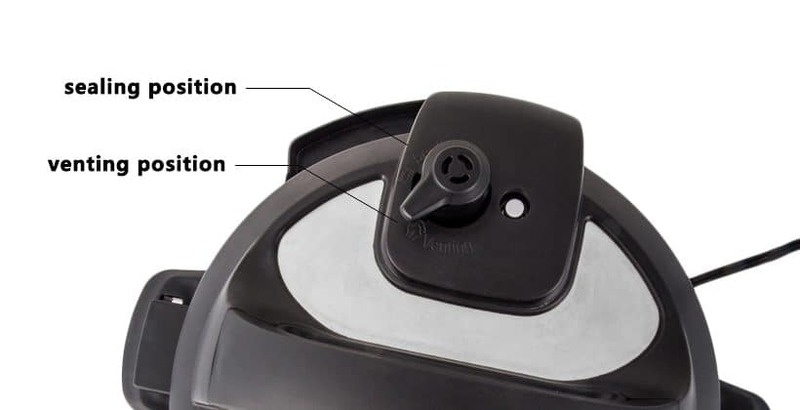 How to do a Pressure Cooker Quick Release? 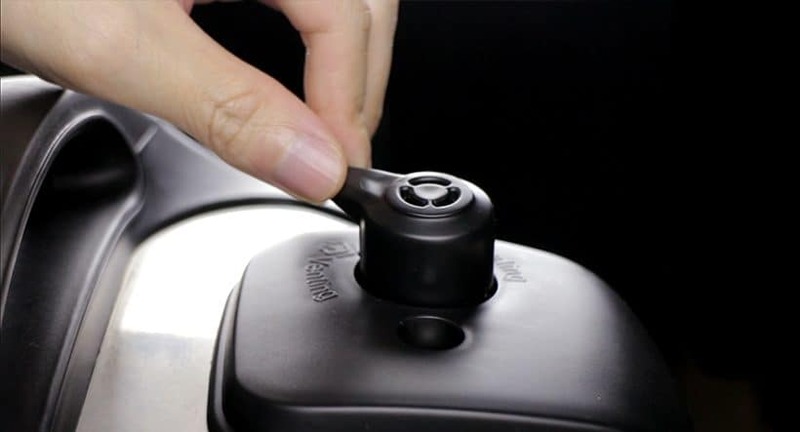 After the cooking cycle finished, carefully move the venting knob from Sealing Position to Venting Position to quickly release the pressure inside the pressure cooker. Usually takes a few minutes to release all the pressure. Wait until the Floating Valve (metal pin) completely drops before opening the lid. Not suitable for food with large liquid volume or high starch content (e.g. porridge, congee, soup, etc.). Food content may splatter out from the Pressure Release Valve. Foamy food may clog the Pressure Release Valve. Food, especially beans may break apart due to the sudden change in pressure/temperature. If the recipe is designed for Natural Pressure Release, the food may come out undercooked. 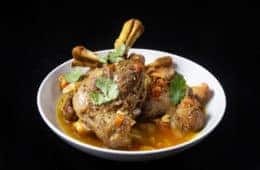 How to do a Pressure Cooker Natural Release? Always turn the Venting Knob from Sealing Position to Venting Position to ensure all the pressure is released before opening the lid. This pressure release method usually takes 10 – 25 minutes (depending on the amount of food in the pressure cooker). If you are cooking foamy food, food with large liquid volume or high starch content (e.g porridge, congee, soup, etc. ), Natural Pressure Release is great for keeping your kitchen nice and clean. Since the pressure is released gradually, there is less movement in the pressure cooker. Your stock and soup come out cleaner and food are more likely to stay intact. A pot full of stock or soup takes very long to release pressure naturally. If the recipe is designed for Quick Pressure Release, the food may overcook, as the cooking process continues during the natural release process. How to do a 10 – 15 Minutes Natural Pressure Release? After the cooking cycle finished, wait 10 – 15 minutes before moving the Venting Knob from Sealing Position to Venting Position to release the remaining pressure. Always make sure the Floating Valve (metal pin) completely drops before opening the lid. 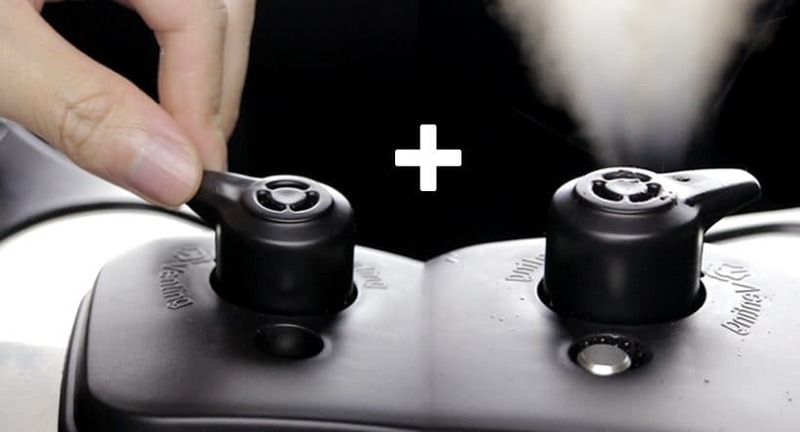 Compare to Quick Release: Significantly reduces the chance of food splattering out from the Pressure Release Valve. Compare to Natural Release: Faster release method when the pressure cooker is full of food with high liquid volume. Looking for Easy Starter Recipes? 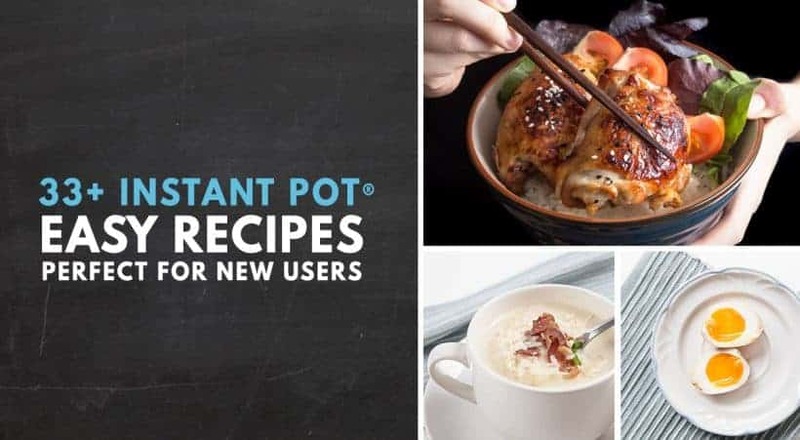 Check out these Easy Instant Pot Recipes to get you started. The pressure cooker will go into keep warm mode after cooking. You will want to shut it off when you don’t need it to keep the food warm. After my 6 qt instant pot floating valve pops up while I am cooking a whole chicken in 8 cups of water, @ 0 min cooking time, what should I press to begin the NR? Thank you for your question. You don’t have to press anything as the natural release will begin by itself after pressure cooking. Thanks for taking my question! I emersed my ing for the whole chicken pouching recipe into my pot. Pressed pressure. And as per instructions I do now enter any time. Now that the valve is popped up, what do I press to stop cooking and enable pressure to NR. Looking forward to a quick reply! Thank you for your question. You don’t have to press anything to start the natural release process. I followed the recipe for Chicken Congee, Chinese Chicken and Rice, and Pork Shank Carrot Soup. My natural release for all of them has been at least 1 hour.😫 What am I doing wrong? The valve is supposed to be wobbly. I have an instant pot duo 6 quart but the release valve doesn’t seem to go all the way to the seal position. The is the vent position and some squiggly lines before the seal position. That is as far as the release valve goes. Just to the squiggly lines; it won’t go all the way to the words “seal”. 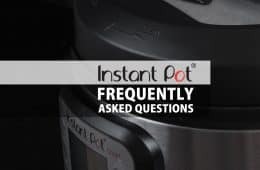 You may want to take a video and send it over to the official Instant Pot customer service. Thanks for your response! That is a tricky little piece of plastic, lol. I found I had not turned it counterclockwise far enough and that if I lifted it a bit while turning, then it moved into the proper position. Thanks for your cheerful help! I just completed my water test. My old pot had a slide opening for the vent, so this wobbly thing is new to me, LOL. When I went to release pressure, steam came out as expected for a couple of seconds, then stopped. The only way I was able to get it to continue to release steam quickly was to manually pull it forward using a wooden spoon. It wasn’t far back in the locked position, it was forward, but it wanted to be completely forward and didn’t stay there itself. Any hints? Thanks for your helpful site! Happy 4th! Hehe, the venting knob is wobbly!! If you look closely at the lid, there is a position that says venting and another that says sealing. Try turning it a few times to get a feel for it. If the venting knob still doesn’t stay there during pressure release, you may want to remove the venting knob and reattach it on. Hi – if a recipe calls for 25mins cook time then 10 min npr. What is the best way to keep track of how long it has been natural release in case I lose track of when IP beeped when cooking completed? The best way is to let the Instant pot stays in the keep warm function. It will tell you exactly how long it has been in HR:MINS. The keep warm function will not affect the natural release process. Let me more specific with my question. If I have a recipe for lentil soup with carrots and celery and it calls for a 12 minute cook time with QR, what should I reduce the time to if I want to change it to a natural release? I have a mini instant pot. 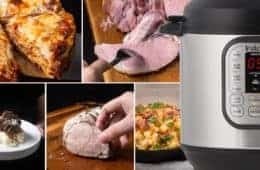 How do I adjust cook time if I’m using an instant pot recipe meant for a 6 quart instant pot? 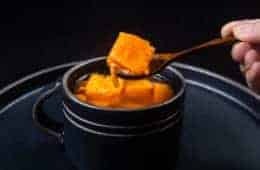 For recipes with a lot of liquid such as soups, pasta, congees, stocks…etc, you will want to cut them by half in the 3qt. For Frozen meat, you will want the meat to be at least 90% submerged in the cooking liquid. The cooking time usually doesn’t need adjustment or just need a few minutes extra. There are often soup recipes that request instant release or 10 minute release. But longer cooking will not harm the outcome. How do I adjust a 10 minute release to a natural release? Should I have the cooking time be less? If so by how much? It’s extremely convenient to be able to walk away from the instant pot on a natural release and let it keep warm so that I can open it at my convenience rather than having to rigidly monitor a timer. For example if I have a 15 minute cooking time with a 10 minute release and I want to just let it go natural release into automatic warming mode, should I reduce the cooking time to 12 minutes? 10 minutes? Leave it as is? For Meat/beans soup, you can just leave the cooking time as is. For fresh vegetable soups, you may want to reduce the cooking time as overcooking will remove the freshness. I am new to the instant pot. I heard you can cook meat from frozen. Is this true? If so, how do I adjust cooking time? You can press the + and – button to adjust the cooking time. thank you for your suggestions & questions. The pot can be in keep warm mode or turned off for the natural release. The keep warm mode will not kick in until the temperature is roughly 158F (70C). If the recipe says natural release for 15 minutes, do I have to put it to venting after 15 minutes or can I just leave it without worrying about it overcooking? Thank you! Yes, put it to venting after 15 minutes. It will not ruin it. Is the chicken fully cooked? If not, you may want to cook the chicken for a few more minutes. 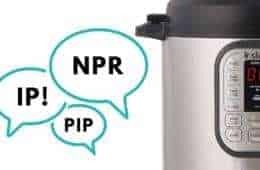 For NPR do you turn the Instant Pot off after it beeps for NPR to occur or do you keep the pot on? Thank you! 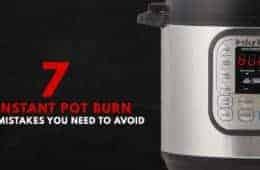 For Instant Pot, it will not matter as the keep warm function will not kick in until the temperature drops below 172°F | 78°C (Natural release occurs at ~198°F | 92°C) so you can either turn it off or leave it on.